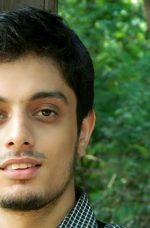 Writing a poetry is not a difficult task to do when you are well versed with the literary techniques used to compare two different objects. But there is no doubt that writing a Good poetry is an art that one should learn or adopt to write a good rhyming poem. 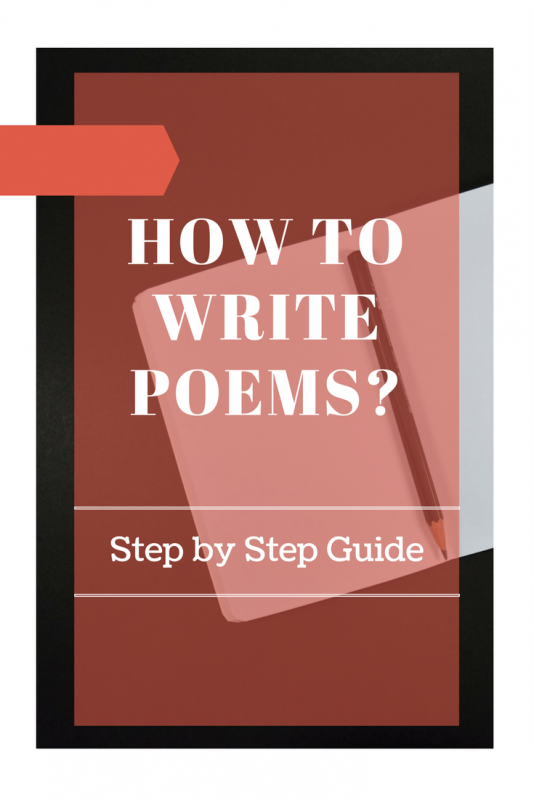 How to Write a Good Poem? Creative poetry writing requires practice and it is not a one night job, it requires patience and consistency. It works on the principal of ‘Practice makes a man perfect’, the more you give time to your poetry writing the more you get nourished. To write a good poem you have to explore your inner self and give a look to the things placed around, be it a flower or a thing dear to you, define it in your words with a creative poem. After few attempts at rhyming the words, you will see a positive growth in your Poetry Writing Skill. The inspiration you get from the environment around will definitely be going to help you further in developing a good poetry writing skill. You can always go to your favorite spot carrying pen and paper to pen down the thoughts of your mind. Observe other people lifestyle and you can cherish the beauty of nature by writing a good poetry describing the view. Love is the essential ingredient to draft a beautiful poem. Till now, if you haven’t give yourself a chance to write your first poem, then you can definitely explore the subject of love to write your First love poem. Who knows, it could become your ultimate forte. You can take instances from your love life where you have experienced love and friendship. It is wisely said, don’t do it until you really want to. Similarly, it is very important to know what you really want to write about, in short, you need to know about your interest. Once you dig out for the theme & Idea for good poetry writing, half of the job is said to be completed. Because you will be going to write a creative poem on the subject of your interest. This is one of the best poetry editing tips. It will polish your written poetry and make it error free. As you pronounce each and every word written, you somehow can relate to it and if found anything wrong, then you can always rephrase it by giving a final touch. Now you have written a good poetry, share it with your friends, family and other fellow poets to get their valuable opinions. Wait, this is the very crucial step. Don’t just let their opinions outflow in the air. Learn from it and evolve yourself to write your next good poem. 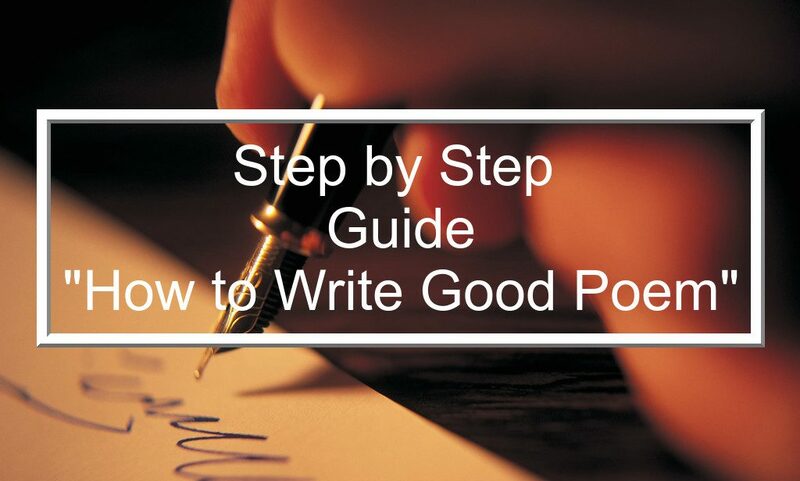 I hope all the above-mentioned points will help you to write a good poem. You can also share your thoughts and your first creative writing poem with us the in comments below. Happy Writing. Writer | Entrepreneur | Engineer | Visionary | Environmentalist. Steal a word out of each day, and eventually you end up having your story. How to Overcome Writer’s Block? How to Get Good Ideas for Books? Step-by-Step Guide. This article is very useful for me. this article gave me basic idea to write poem . Sometimes rhymes seem forced. 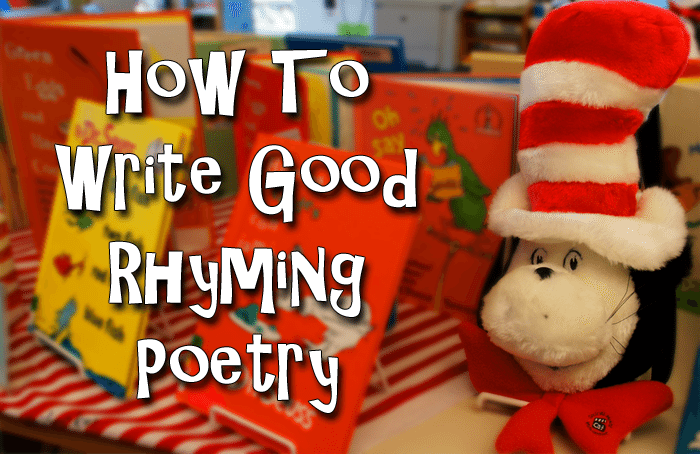 It is better to write a non-rhyming poem with good imagery than to force it to rhyme. I think you should talk about why well known and well loved poems happened to be so, instead of telling aspiring poets to write about nature or love. 5 Reasons How Coffee makes you better Writer!